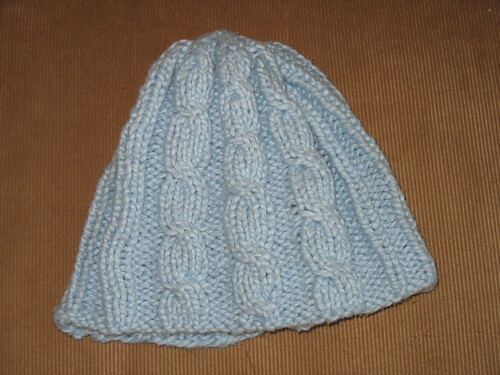 A recipient of an Assymmetrical Cable Hat mentioned she would love one in blue. 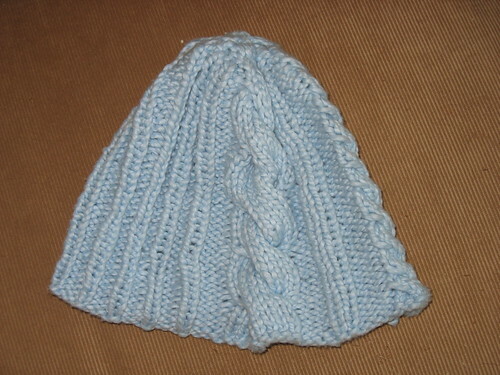 Since it fit my mood and forced (forced, I tell you) me to go buy more yarn, I complied. Lion Brand Nature's Choice Organic Cotton in the misnamed (in my opinion) blueberry color.